Sampho (not his real name) reads his text book during class. Sampho*, 11, is a young boy living with HIV. Sampho’s parents died in 2010 and he now lives with his great grandparents and the family of his aunt in Cambodia’s north eastern Kratie province. There are 11 people in his family and they all depend on his aunt and uncle who are construction workers. The young boy is in grade 5 at a local primary school near his home. Sampho is a happy boy who does well in school. “I want to be a medical doctor,” he said. “He is a good student, intelligent, brave and friendly,” his teacher, Ms. Tep Thida, said. Once each month, Sampho goes to the provincial hospital with his grandmother or his aunt for regular medical follow up and to receive antiretroviral (ARV) drugs. UNICEF provides support for transport costs and he regularly joins the activities of Friends Helping Friends, known as ‘mmm’ meetings for health education and consultations. When he is waiting for his appointment and treatment at the hospital, Sampho enjoys reading books and playing with toys in the hospital’s playground, which is also sponsored by UNICEF. workshop held in Siem Reap recently. On the 20 November annually, the world celebrates Universal Day of Children – the anniversary of the UN Convention on the Rights of the Child and a day specifically dedicated to children across the globe. To mark this special yearly event, UNICEF Cambodia would like to introduce you to Seamsokim So, an intelligent and optimistic student who has made great progress in his personal and academic life despite the loss of his sight. Nineteen year-old Sokim is a grade 10 student who attends the Krousar Thmey foundation – a non-profit organization that provides care for underprivileged children – and Hun Sen Phnom Penh Thmey High School in Phnom Penh. 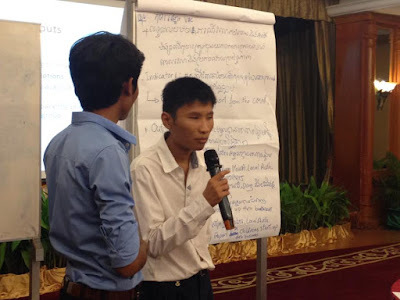 He is also a Krousar Thmey representative for UNICEF Cambodia’s Youth Representative Group. In this role, he works with other young people to give adolescents a voice in their collective campaign to prevent violence against children. Cambodian youth are mobilising to eliminate violence against children (VAC) through inspired initiatives. One such committed supporter for this cause is 23 year-old Sreynich Seng who recently graduated from the Royal University of Law and Economics in Phnom Penh with a major in International Relations. This follows on from her bachelor degree in English instruction at the Cambodia Mekong University, also in the capital city. 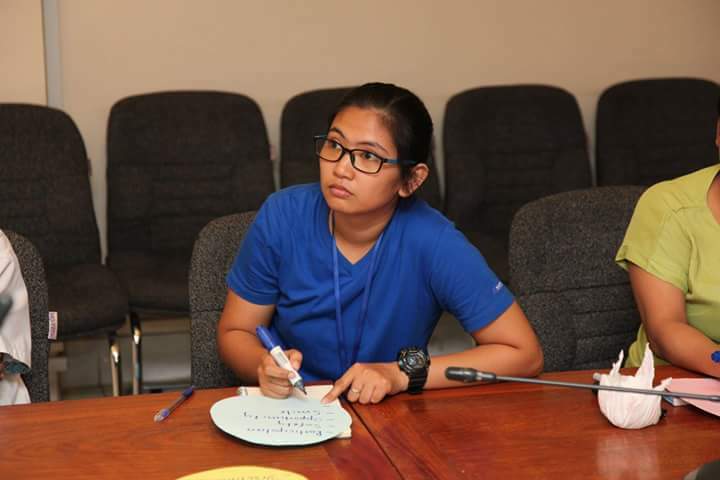 Armed with her solid academic background and as a member of the youth representative group working with UNICEF on the topic of ending violence against children, Sreynich is an eloquent advocate with a wealth of knowledge and experience for someone so young. At the de-briefing session on day of the joint field monitoring visit where all the groups gathered in Kampong Cham province to share their observations and recommendations. The meeting was chaired by H.E. Mr. Say Siphonn, Ministry of Social Affairs, Veterans and Youth Rehabilitation, H.E. Mr. Try Meng, Ministry of Rural Development, H.E. Prof. Oum Samol, Ministry of Health, and Ms. Debora Comini, UNICEF Cambodia Representative. Phnom Penh, 16 November 2016 – Late last month, staff from various ministries within the Royal Government of Cambodia (RGC) and the UNICEF Cambodia Country Office conducted field visits across the country over a period of four days where they visited programme sites and met with local authorities and community members, as well as NGO partners. This is our first year of implementing UNICEF Cambodia’s Country Programme 2016-2018 which emphasizes the importance of multi-sectoral collaboration and programme design in sectors such as health, nutrition, water and sanitation, education, and child protection and addressing issues in these areas which are related to the safety, welfare and development of children. October 2016, Phnom Penh - Seiha is 15 months old. She lives with her mother Chea Sok in a single room hut that floats on Phnom Penh’s Tonle Sap River, in one of the capital city’s slum communities. Smiling and playing with her one-year-old neighbor, it’s hard to believe that this is the same child that a month ago was struggling to live and in need of urgent treatment. Luckily, the young child caught the attention of a local village health volunteer, Sothea Teth, whose role is to identify malnourished children in the community and refer them to services, in addition to following up with women and children who are at risk of becoming malnourished and could benefit from available support. 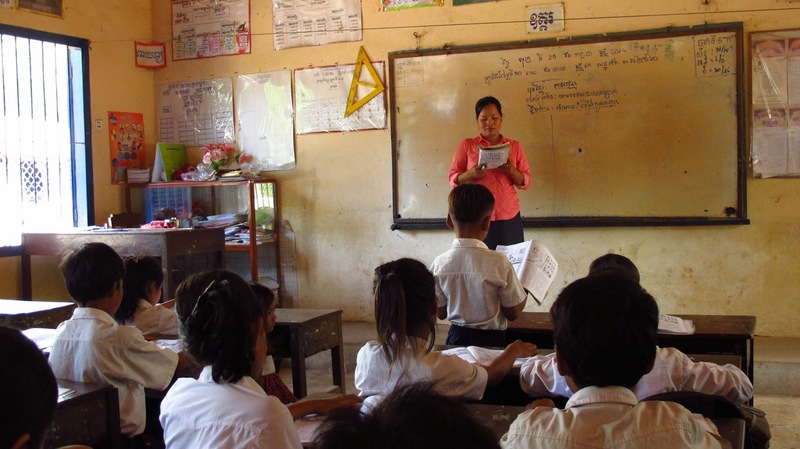 Rattanakiri Province, Cambodia, October 2016 – A sanitation awareness initiative taking place in north eastern Cambodia is providing positive results in terms of increased hygiene, disease prevention and improved safety standards. Sanitation is a key factor affecting children’s nutrition and health status. Progress has been made in recent years in reducing the number of people practicing open defecation in the country. In 1990, 89 per cent of Cambodians did not use toilets. By 2015, the rate had gone down to 47 per cent. However, despite this progress, the rates of people without access to improved sanitation remain relatively high in Cambodia compared to other countries in the region. The number of children who are stunted, or too short for their age, is also high at 32 per cent, or one in three children. One humid afternoon in late September, students were seen playing volleyball enthusiastically at Lycée Descartes – the French school in Phnom Penh. Extraordinarily, as well as calling out to each other, the players were communicating using sign language. Around 80 students, both with and without disabilities, were divided into 12 teams and competed in Cambodia’s first-ever ‘Volleyball Inclusive Tournament’. Most of the students were between 15 and 18 years old and represented Lycée Descartes, the Toutes à l’Ecole organization and the Krousar Thmey Foundation. Each team had two months to prepare, and during training in July and August while they sharpened their volleyball skills, they learnt a bit of sign language at the same time. Ratanakiri and Phnom Penh, Cambodia, November 2016 – It is early morning in Ka Lay 2 village and 28-year-old Nanja arrives at the meeting point with her husband Niag and their three-month-old boy Syna. The baby, their third child, looks healthy and energetic and looks at everything around him. Nanja is here to do a follow-up on her health and that of her baby. The visit is part of the project called ‘Sokapheap Knhom’, which means “my health” in Khmer. This project is an innovative joint development involving UNICEF, IRD (Institut de Recherche pour le Développement or French Research Institute for Development) and the Cambodian Government’s Department of Fisheries. 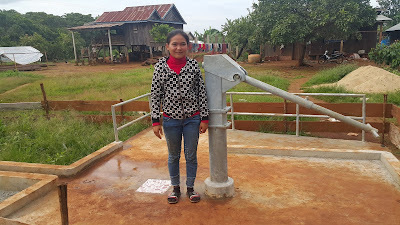 They are collectively involved in a study of more than 4,000 children and pregnant women in Kratie, Ratanakiri and Phnom Penh provinces which involves monitoring their health, nutrition and water/sanitation access. From this study, UNICEF with its local partners will adjust programmes to improve the survival rate and development of children. Kratie province, Cambodia: Regular health checks during pregnancy and soon after birth are essential to the health and wellbeing of mothers and babies. But many women in Cambodia continue to face obstacles that can have devastating effects. In remote villages and towns, women struggle to care for their young children and earn enough money to survive. Pregnancy adds another layer of burden to this struggle. Many poor women find it impossible to pay for transport to a health centre, and the long distances they have to travel mean they do not have regular antenatal and postnatal check ups. Seeing the level of need in hard-to-reach villages, UNICEF has launched outreach services in Kratie province in northeastern Cambodia, and now supports health centre staff to travel around the province taking health care to the people. For the women of Intra Chey Island in Kratie province, UNICEF’s outreach programme is bridging the gap between them and life-saving health services. Intra Chey Island is in Beoung Char commune, Sambo district. It takes one hour by road and a further two hours by boat from Kratie town. The US$110 cost of the return boat ride far exceeds a whole month’s salary for an average household, with most people here making a living through subsistence farming or fishing.